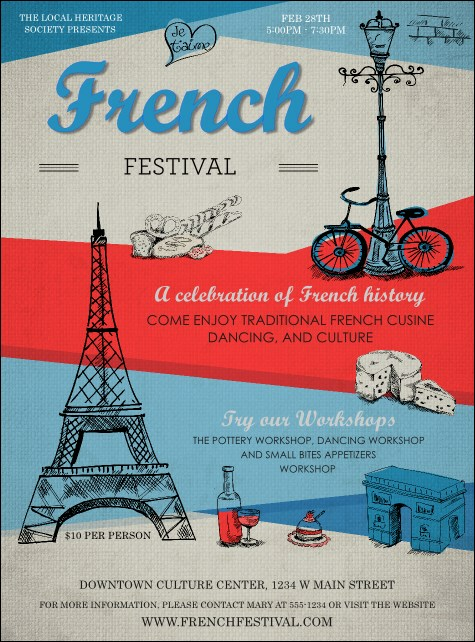 Celebrate the best of French and Parisian culture by advertising with the French Flyer. This red, white, and blue design features drawings of the Eiffel Tower, the Arc de triomphe, wine, and cheese. Add 17 lines of text to the easy template and we'll send them your way!